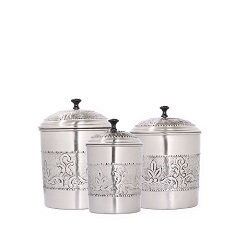 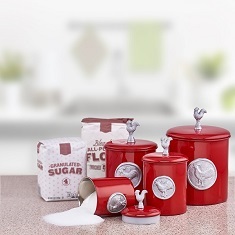 Our canister collection are perfect to keep your kitchen counters organized. 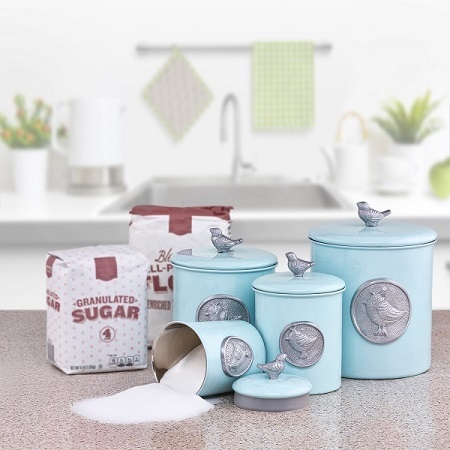 Provides countertop convenience; ideal for storing flour, sugar, pasta, or coffee. 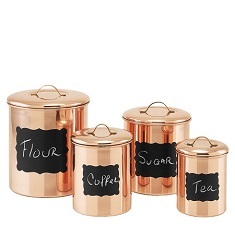 The 4 Qt Canister holds the entirety of a standard 5lb bag of flour. 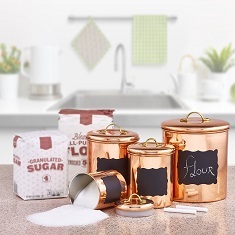 The 2 Qt Canister holds the entirety of a standard 4lb bag of sugar. 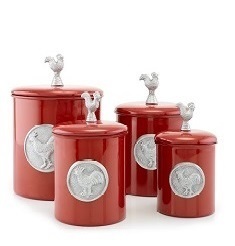 Pantryware Chalkboard, Bluebird, Red Rooster, antiqued Embossed and Versailles canisters are lovely canisters that make any kitchen counter look great. 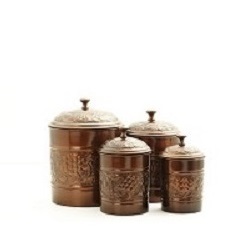 Easy maintenance just hand wash with warm soapy water and hand dry thoroughly and they're set to go indefinately. 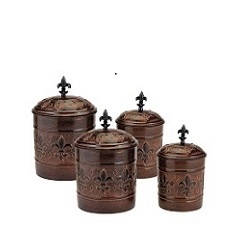 4 Pc Set: 4Qt., 2Qt., 1.5Qt.,1Qt. 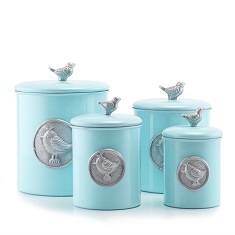 3 Pc Set: 5.5 Qt., 4 Qt., 3 Qt.